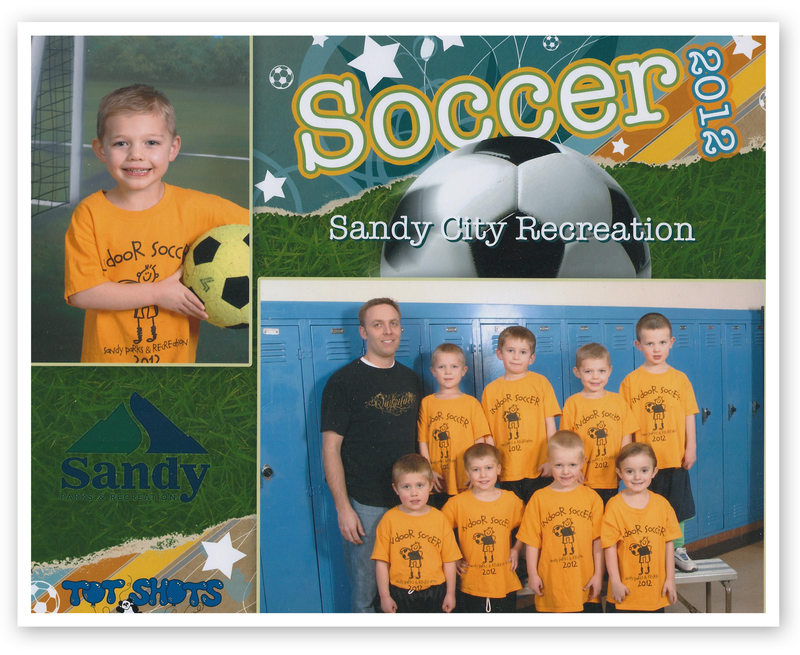 Bryson got his soccer pictures back last week. Aren't they cute? His season is almost over and he's had a lot of fun. He says he likes soccer, but that he's more excited to play baseball (yay!). Anyone who knows my family knows baseball was kind of our thing growing up so it would be super cool if baseball ends up being his thing too. One evening each weekend we snuggle up on the couch as a family with a big bowl of popcorn on our laps and enjoy a family movie together. We take turns choosing the movies each week and the three movies above are the ones we've enjoyed this month. 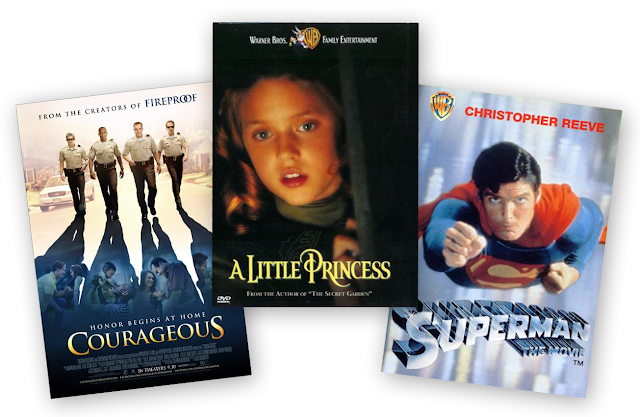 Courageous and A Little Princess are must sees if you haven't seen them yet. I LOVE this scene from A Little Princess. Can you guess which movie Bryson chose? Our little home on the web has been neglected for far too long due to the fact that I'm always so busy designing other peoples blogs that I have a hard time finding time to work on my own! However, I was finally able to find a few seconds the other day to work on a re-design and it feels so good not to have to look at the old design anymore. 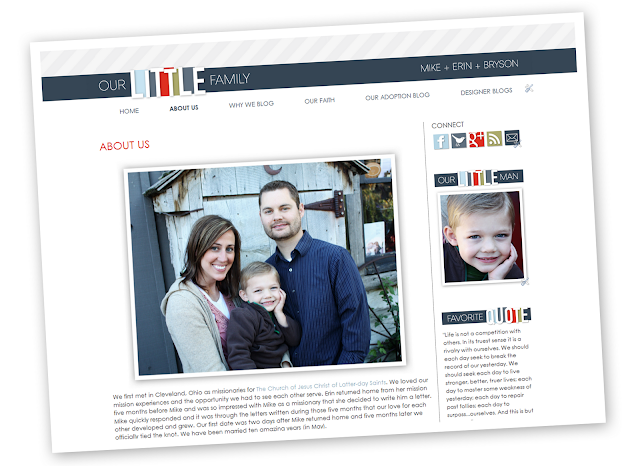 Bryson's bedroom was the inspiration for the new design and since this blog is mostly about him, I thought it should look like him....so there you go. 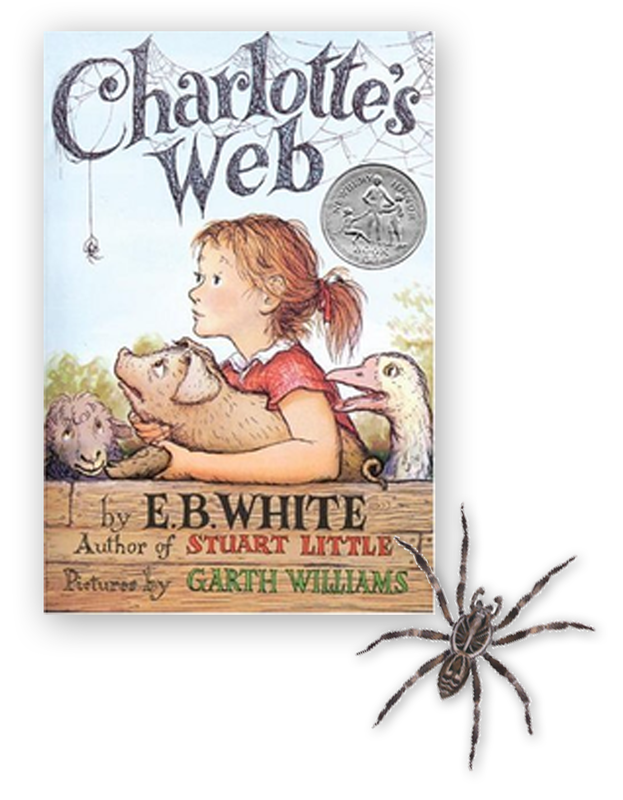 This month we've been reading Charlotte's Web to Bryson and he's loved it. He especially likes the spider Charlotte and is now obsessed with learning about spiders. Thanks to our good friend Google, he can now identify all major types of spiders. He has also learned how to crawl super fast around the house on his hands and feet just like a spider. It's a little creepy. He says his favorite spider is the Wolf Spider (pictured above) and "sometimes a Black Widow and sometimes a Teranchula." My insanely talented sister-in-law Michelle (check her blog out here) was asked to film a cute Valentine's segment for Studio 5 a few weeks ago. 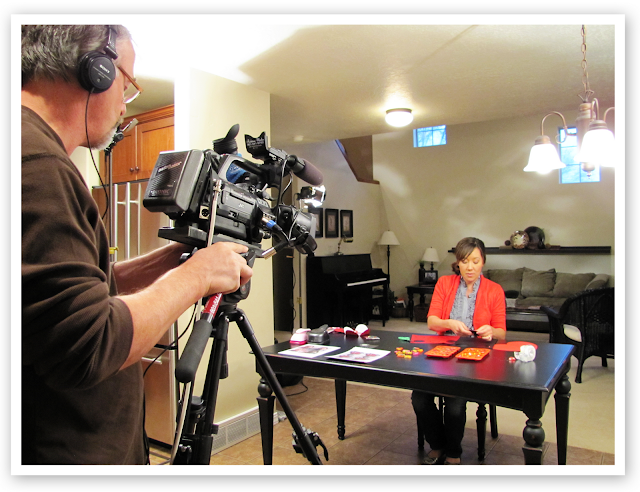 Since her house is still in the middle of a re-model, she asked if the segment could be filmed here at our house. Even though our place isn't much to look at, I agreed and a few days later our house was taken over by all sorts of video equipment, spotlights, TV screens, microphones...the works. The camera guy is the producer/videographer for the television documentary series, History of the Saints, so it was cool to meet him and hear about his experiences in film. Michelle did such a great job. You can view her segment here. My mom and I have really been wanting to start working on our family history together and so a few weeks ago we decided to take a trip to the Family History Library downtown to get started. 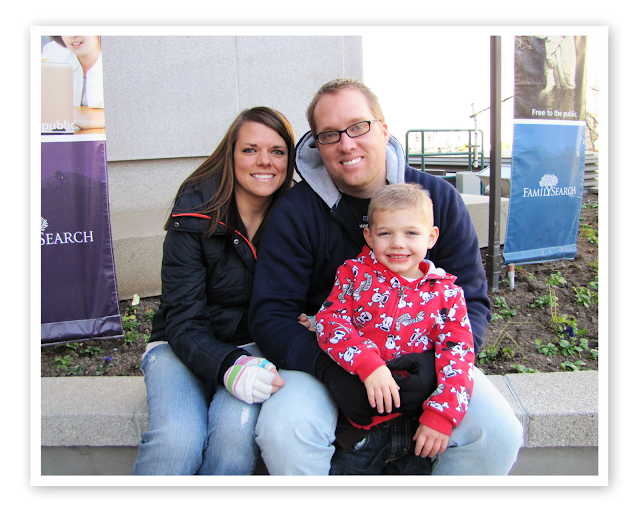 My brother Ike and his wife Amy kindly volunteered to come with us to watch Bryson and took him over to play in the children's area of the Church History Museum while my mom and I did our thing. We learned a lot and since then have had the chance to go as a family to do work in the temple for some of our ancestors and it has been an amazing experience. I've also learned how to index and it's become one of my new favorite hobbies. We still continue our Fun Friday's and last month we went to the Discovery Museum at the Gateway with cousin Brock, Brody and Kaylee. I laughed when Bryson grabbed the vacuum and started vacuuming the little play house there because that's one of his chores at our house...except he's usually in just his undies when he vacuums at home.